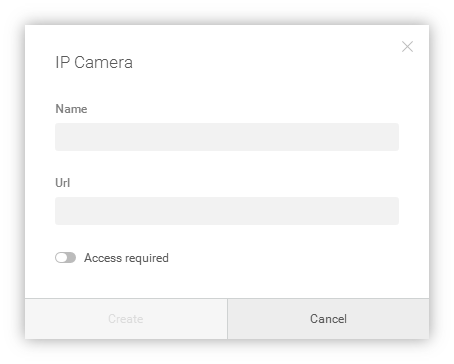 To add a new camera to the list, click the “Add IP Camera” button in the IP Camera Settings window and define a new IP camera in the dialog which will appear. The only mandatory field is “Url” which is the actual address of the IP camera. The name is used only for your IP cameras list — you may give your camera any name you want. 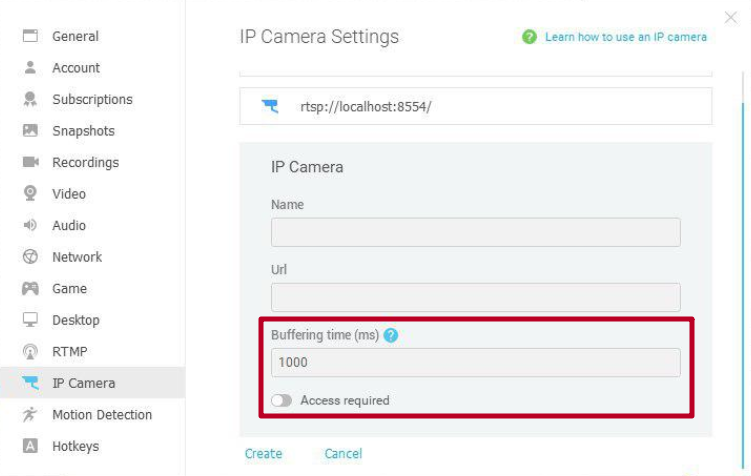 What IP camera URL should I use? Determine if your IP camera uses MJPEG or H.264 compression by looking at its list of features or tech specs. The majority of IP cameras support either or both MJPEG (Motion JPEG) and H.264 video formats. MJPEG IP cameras send a steady stream of JPEG images as motion video while H.264 IP cameras use H.264 video format offering better compression and video quality. If your IP camera supports both compressions, ManyCam recommends using H.264 as it offers better quality and requires less bandwidth. Learn your IP camera source URL or search Google for a list of available IP cameras on the web. Note: this feature is available in ManyCam 6.5 for Windows or higher. Sometimes you can experience interruptions and lags during your IP camera streams, which mostly happens due to network or hardware related issues. To address this and achieve smoother video playback and transmission, we suggest adjusting the Buffering time property in ManyCam Settings. The default buffer cache is set to 1000 ms (=1 second), which commonly works great, however, finding the value that works best with your connection bandwidth might require some tweaking.